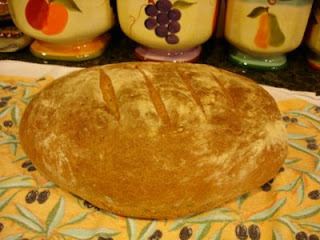 It is a rather bland bread with a lovely, chewy crust. 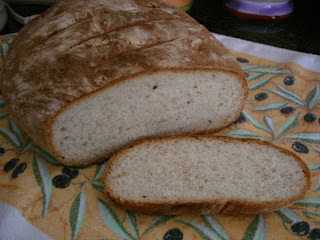 One bread book I have suggests using this type of bread with salty or very flavourful dishes. Great with cheeses and olives... (not that I eat any of those!).. but if you do.... and lucky you might I add ... sigh ... .. I so love a chewy crust. What a beautiful loaf of bread. I love to make bread, and make it quite a bit more now that artisan loaves have gone up in price so much. I will be trying this recipe.